Many Times we go to temple and give daan either in shape of money or give clothes etc…what if we start gifting plants to temples or trusts. This will have several benefits and will be a good practice. Trees make life nicer. Hospital patients have been shown to recover from surgery more quickly when their hospital room offered a view of trees. Ashoka is one of the most legendary and sacred trees of India, and one of the most fascinating flowers in the Indian range of flower essences. Ashoka is a Sanskrit word meaning without grief or that which gives no grief. The Hindus regard it as sacred, being dedicated to Kama Deva, God of Love. The tree is a symbol of love. Its beautiful, delicately perfumed flowers are used in temple decoration. 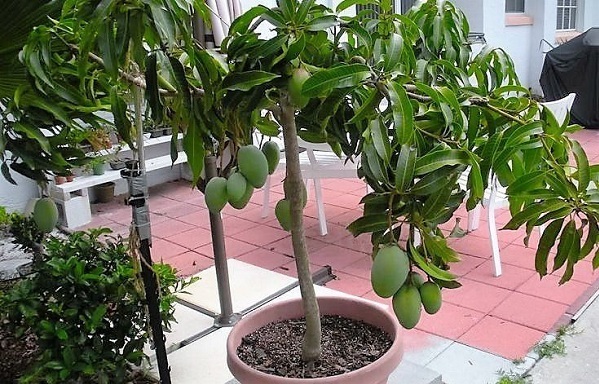 The mango tree is another sacred tree of the Hindus. The significance of this finds mention in the Ramayana, Mahabharata and the Puranas. The mango as a fruit is a symbol of love and fertility. 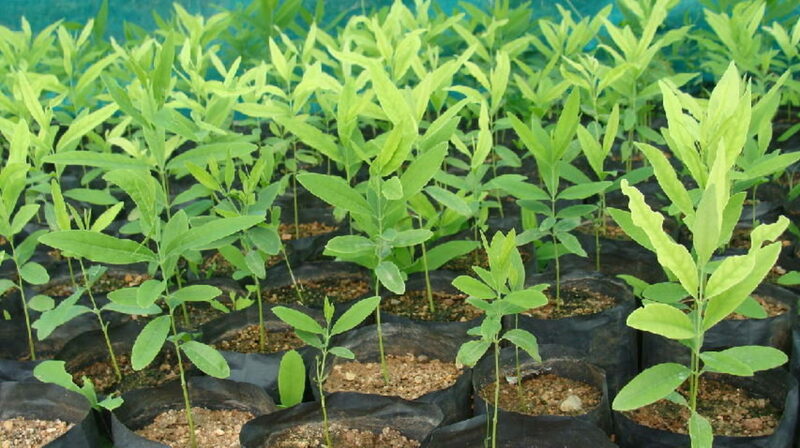 The leaf of the tree is used during most religious and social ceremonies of the Hindus. 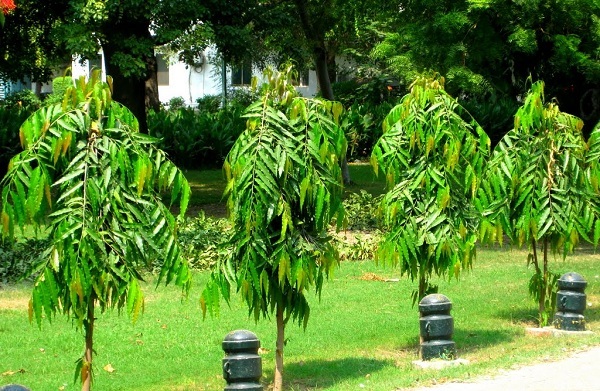 On various auspicious occasions, mango leaves are used to adorn entrances at home to signify good fortune. Peepal Tree also known as “Ashvattha” in Sanskrit is a very large tree and the first-known depicted tree in India. A seal discovered at Mohenjodaro, one of the cities of the Indus Valley Civilisation depicts the peepal being worshiped. 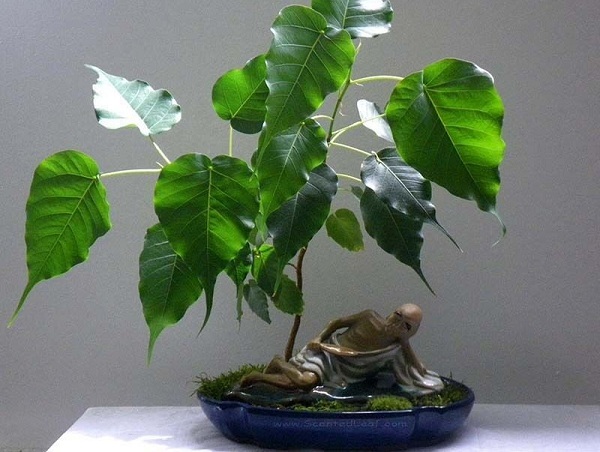 According to the Brahma Purana and the Padma Purana, when the demons defeated the gods, Lord Vishnu hid himself in the Peepal Tree and that is why it is believed that Peepal Tree is a symbol of Vishnu. There is another belief that the tree represents the Trimurti - the roots being Brahma, the trunk Vishnu and the leaves Shiva. 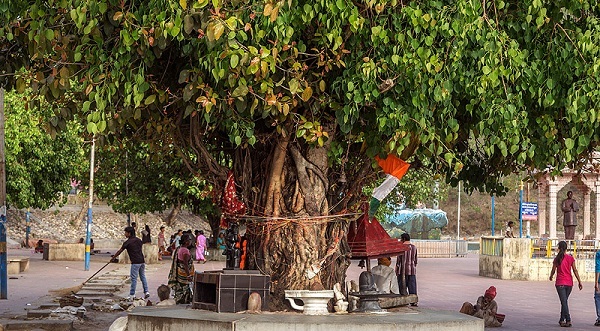 Some says that Lord Krishna is believed to have died under this tree, after which the present Kalyug started. According to another belief, Goddess Lakshmi also inhabited the tree, especially on Saturday and hence it is considered auspicious to worship it. Like Peepal Tree, the Banyan Tree also symbolizes the Trimurti-Lord Vishnu, Lord Shiva and Lord Brahma. The tree also symbolizes life and fertility in many Hindu cultures. That is the reason, banyan tree is worshipped by those who are childless and this tree should never be cut. In India, Bael tree is considered to be very sacred because it is associated with Lord Shiva. It is said that Lord Shiva is pleased by offerings of leaves from the Bael Tree, also known as bilva or bel tree. Thus, the Brahmanas worshipped Lord Shiva for a period of one fortnight by offering bel leaves and that way satisfied Lord Shiva greatly. The fruit, flowers and leaves of the tree are all sacred to Shiva. Though banana is not a tree but it is considered a tree because of its structure and size. It is a very sacred tree and all parts of the tree are used for some purpose or the other. For example, the trunk of banana is used to erect welcoming gates. The leaves are used to make the ceremonial pavilion. In some pooja, the leaves are used to serve “prashad”. It is believed that offering of the leaves of banana pleases Lord Ganesha. Banana as a fruit is offered to Lord Vishnu and Laksmi. Sandal wood, its paste and oil are important in worship of gods. The Sandal tree is highly regarded in the Vedic texts, and the heartwood is considered to be sacred. It is said that chandana scents the whole of paradise with its fragrance. Sandalwood is considered the epitome of excellence, imparting fragrance even to the axe that cuts it. It is used in sacred ceremonies and to purify holy places. 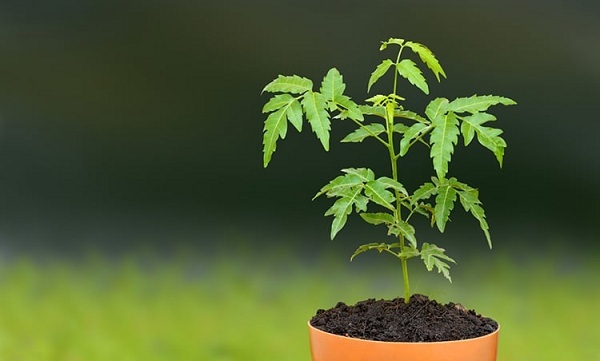 The neem tree besides having various medicinal benefits is a highly revered tree among the Hindus because it is a manifestation of “Goddess Durga”. That is why the tree is sometimes referred to as Neemari Devi. The Tree is worshiped very intensely. Tamil Ladies, while worshiping Maa kali dress in red, carry branches of the Neem tree, and dance in public places swishing the branches as an act of exorcism and to purify the world. Tulsi is always associated with purity and a highly revered and used for all religious purposes among the Hindus. 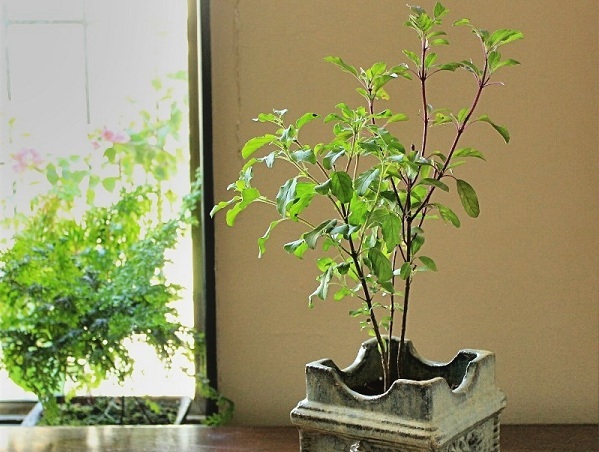 It is considered very auspicious to have a Tulsi plant in the front courtyard of a house. Tulsi beads can always be seen around the necks of serious yogis and mystics in India, worn to purifying the mind, emotions and body. 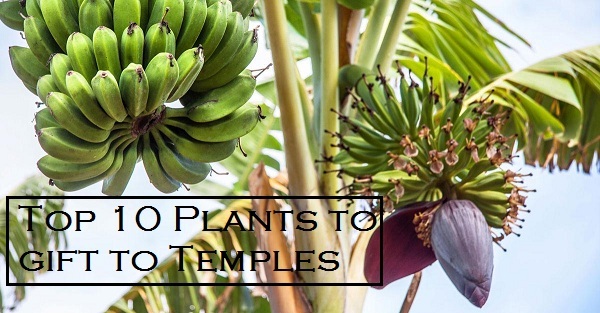 In practically every temple in India, no puja can be started without few Tulsi leaves. 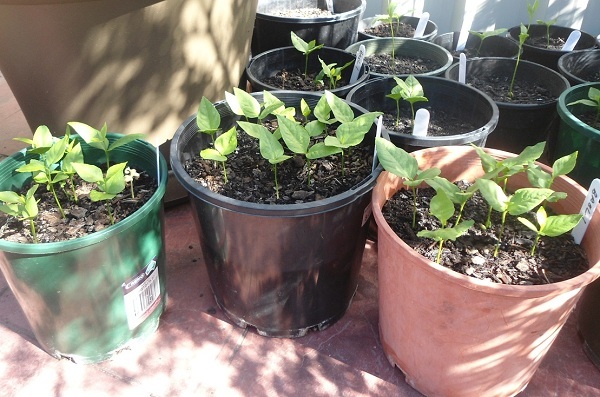 The qualities and amazing powers of this plant are found throughout the oldest writings on Earth, the Sanskrit Vedas of ancient India, where it is stated that simply touching the wood is purifying at many levels. In Sanskrit, the name for the coconut palm “Kalpa vriksha”, which means “the tree which provides all the necessities of life” or “wish-fulfilling tree”. The coconut tree is given a special place in most Hindu households and great care is taken to nature the tree. 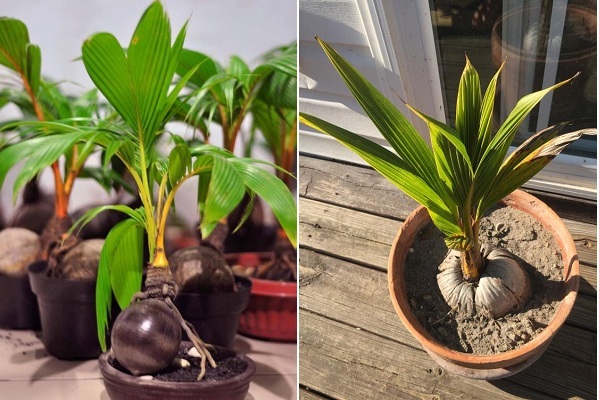 In the southern part of India, it is a must for every household to plant coconut trees. The coconut is used for all religious purposes.